The Witch's Stew - by Everett Morse - An interactive, animated Flash story. Help the witch choose which ingredients will change her into a friendly fairy. The Three Big Pigs - by Everett Morse - A creative new Flash animated version of the classic Three Little Pigs tale and the big bad wolf. The Farm Animals - by Rolando Merino - An illustrated story of animal sounds. This is now a free complete online Click-a-Word Talking eBook! The Bitaba Bird - by Carol Moore - Illustrated by Michael S. Weber - A blending of imagination with a science lesson. Wolstencroft The Bear - by Karen Lewis - Illustrated by Michael S. Weber. Sniffy & Fluffy Have An Adventure - by Aimee Bruneau - Illustrated by Taylour Damion - An illustrated story. Ollie's Jar - by Carol Moore - An illustrated story with animation. Round Bird Can't Fly - by Lea McAndrews - An illustrated story. Kitty Wants a Box - by Carol Moore - A short illustrated story. Buzzy Bee - by Carol Moore - A short illustrated story. See Buzzy Bee riddles, maze and coloring book below. Buzzy Bee and Friends - by Carol Moore - A short illustrated story. Buzzy Bee's Night Out - by Carol Moore - Illustrated by Dan Wetzel - Buzzy Bee ventures into the night in search of tasty flowers. The Counting Story - by Rolando Merino - An illustrated story with animation. Alphabet - by Rolando Merino - An animated story of the alphabet. Animals You Can See at the Zoo - by Rolando Merino - An illustrated story of zoo animals with sound and animation. Mr. Coyote Meets Mr. Snail - by Storie-Jean Agapith, a native American indian author - Illustrated by Michael S. Weber. Absulum the Reindeer Elf - by Duncan Wells - Illustrated by Carol Moore. Grow Your Own Gargoyle - by Valerie Hardin - Illustrated by Carol Moore. The Wumpalump - by Cheryl Pearson - An illustrated religious parable. The Loomploy - by Cheryl Pearson - Illustrated by Lea McAndrews - A religious parable. The Littlest Knight - by Carol Moore - An illustrated fairy tale. McFeeglebee's Pond - by Carol Moore - An illustrated story. Who Did Patrick's Homework? - by Carol Moore - An illustrated story. It Could Happen... - by Carol Moore - NEW ILLUSTRATIONS by Aura Moser. Tiger Son - by Teresa Ng - An illustrated story. Wind Song - by Carol Moore - An illustrated story. Sliver Pete - by Carol Moore - An illustrated story. The Master Artist - by Carol Moore - Illustrated by Michael S. Weber. Things do not go smoothly when a wealthy patron hires an artist to paint his portrait. Shooflies - by Storie-Jean Agapith, a native American indian author - Illustrated by Thomas Mitton. Second Thoughts - by Carol Moore - Illustrated by Jason Paulhamus. This fanciful story is about an encounter with some strange travelers. A Tale of Friendship - by Carol Moore - An illustrated and very untrue story about how one particular animal came to be created long after all the rest. Read the humorous Beaver Anecdote. Welcome to Math and Reading Help for Kids! Math and Reading Help for Kids is a comprehensive directory of original articles, tips, and resources to help parents and children make informed decisions about school related topics and issues. This directory contains hundreds of articles about a variety of children's education topics including: homeschooling, online tutoring, learning disabilities, test anxiety, and more. Although the articles in this site are primarily written for a parent audience, there is also a Just for Kids section created specifically for children. Click here to see our Just for Kids section. Click here to see our Homework Help section. Click here to view the complete Article Directory. This article is the fourth feature in the short Online Tutoring informational series and gives a brief overview of the technology that allows effective online tutoring to take place. We all now know the importance of memory, but do out children? Read this piece for information on how memory games can facilitate your child's success in school and maybe even prevent you from losing your mind. 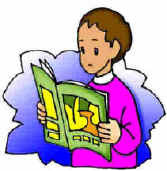 Parents often focus on fiction when teaching their children to read. This discusses various activities families can use at home to teach their children poetry as well. Children actually know a lot about reading before they are able to read! This examines children's early literacy skills and how a parent can raise a reader. Advice for potential college students for managing time, money, and stress.